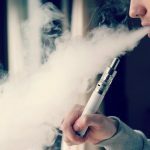 Last week, the federal Minister of Health announced new measures to address vaping by young people. These measures include a proposal for additional advertising restrictions on vaping and a new public education campaign targeted at young people. Canada already has a strong regulatory framework for vaping products in place through the Tobacco and Vaping Products Act, which prohibits advertising that appeals to youth. To further strengthen this framework, Health Canada has published a Notice of Intent for consultation measures outlining the Department’s plans for new advertising rules. The proposed rules would restrict where advertisements could be displayed to limit their visibility to young people. They would also require health warning messages on permitted advertisements, and would restrict the display of vaping products at points of sale. In addition to the Notice of Intent, Health Canada will post in March 2019 another consultation document seeking comments on further measures being considered to address and reverse the recent trends of youth vaping. Some of these additional measures could include examining the role of flavours, nicotine concentration and product design in making vaping products appealing to youth and non-smokers. Health Canada Minister Petitpas Taylor has also engaged her provincial and territorial colleagues to further support federal efforts to address youth vaping. Health Canada continues to support the need to discourage youth and non-smokers from vaping, while urging smokers to quit.